A privately owned inn situated in Upper Solva, with magnificient views across the bay from our 2 Sun Terraces. 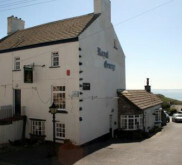 Real Welsh Ales & Ciders, Traditional Pub Grub, with speciality Local Seafood dishes. Roast Dinners served every Sunday. Free Parking, Dogs and children welcome, WIFI, 3 B & B rooms available. Music every Saturday. Local supplier of shellfish live or cooked and dressed. 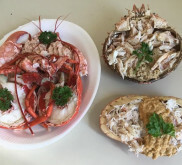 Wet fish available weather dependent.Fishboxes available – dressed crabs, dressed lobster and four portions of substainable fish £40 – delivered within a 3 mile radius. 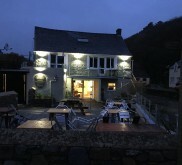 The home of MamGu Welshcakes selling traditional and alternative welshcakes hot off the griddle we are situated in the heart of the harbour village of Solva. 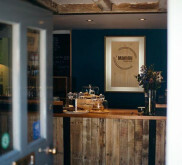 We source our products from as close to home as possible, serving loose leaf teas, freshly ground coffee, and welsh delights from the Mamgu kitchen. Our Menu serves a delicious twist on old welsh dishes, with Welsh Rarebit, Cawl, and Crempogs to name a few paired with a few cheeky Pembrokeshire offerings. For hot sunny days you can enjoy one of our fresh welshcakes with some ice-cream or come and visit us on those “Pembrokeshire Rainy Days” for hot welshcakes and a real hot chocolate.